The weight of anxiety over a friend or loved one who needs your care may have pressed the last dredges of flavor from your life. You may find the strangest things make you cry (coffee commercials, for example) at the oddest times (during a staff meeting). You may shake your head (or your fist) in frustration over circumstances—the glacial movement of insurance company decisions or the light years it takes to schedule an appointment with a specialist when the one you care for needs help YESTERDAY. You might wake up each morning filled with self-blame because NOTHING you seem to do makes any apparent difference in the life of the one you love. The plumped pillows, folded laundry, rides to appointments, phone calls made—none of them seem to matter to the one you slavishly pour yourself out for. If only you tried harder, you think, my friend or loved one wouldn’t be in this condition. Or perhaps you’ve given advice to a girlfriend in crisis—and she never seems to take it and always lands back in the same crisis. Over. And. Over. Again. You might find yourself reacting with impatience to yet another plaintive plea for advice from a hurting friend. If only my friend or loved on tried harder, you may think, he or she would be well by now. And so you suffer in silence because you either aren’t doing enough, or the one you care for doesn’t do enough—whatever the case, you feel worn out, frazzled, at your wit’s end. 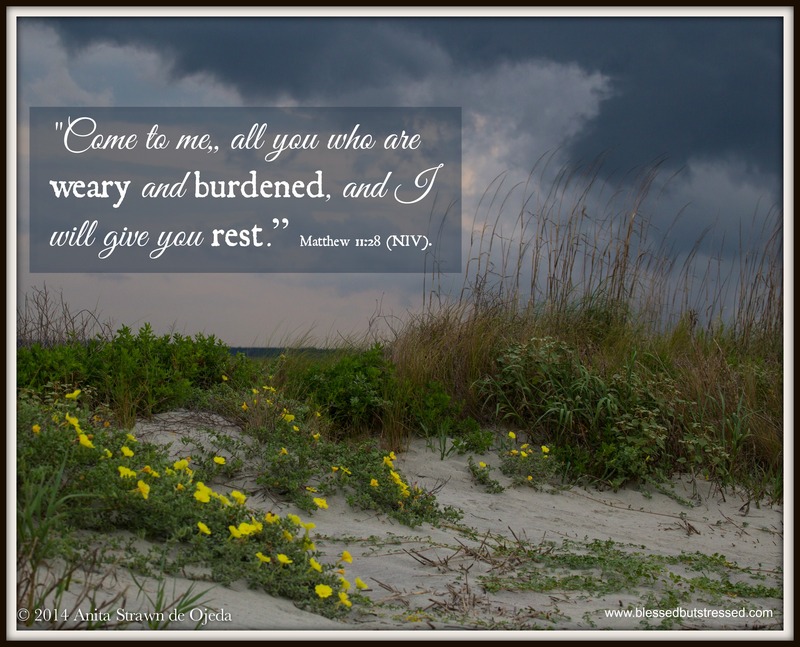 Jesus offers rest for your weary soul. “Come to me, all you who are weary and burdened, and I will give you rest” Matthew 11:28 (NIV). Come and ponder the miracles mentioned in the New Testament: The man born deaf and mute who received his hearing and the ability to speak (Mark 7: 31-35); the blind man who received his sight (Mark 8:22-26). Jesus did curing. Each miracle involved spit and touching and contact with knotty problems that no human had the cure for. Jesus didn’t just perform miracles of physical healing—he also cured ailments of the mind and the soul: the woman accused of adultery (John 8:1-11); Mary Magdalene (Luke 8:2). Once again, Jesus did the curing—the deep healing of a troubled soul desperately in need of a Savior. Remember that, my friend. Jesus did the curing. No plumped pillow, cleaned house, medicines administered, words of wisdom spoken or prayer offered will CURE another person. But don’t stop doing the wonderful things that you do—after all, Jesus calls you to care. He rejoices when you help someone in need by offering emotional support or physical acts of service. But he doesn’t call you to be the cure. You may leave that burden at his feet. He will cure in his time (not yours—although I understand the urgency with which we want results) and in his way (even if it’s not the way WE would have done it). Take a look around you and notice the infinite care he took with creation. Each feather, each flower, each fawn testifies to the care of the Creator. Someone else already figured out the cure. Refresh yourself in God’s perfect love. Breathe deeply and exhale until you have no breath left before breathing in again. You are NOT the curegiver. But you were created to care for others. So you do your job, and let God do his. 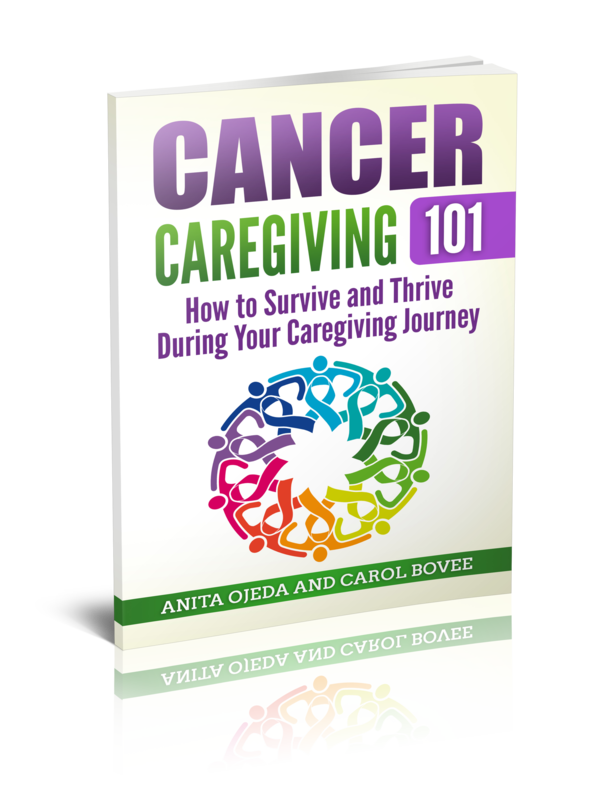 *This concept of ‘curegiving’ comes from the book Christian Caregiving: A Way of Life by Kenneth Haugk. I heard this revolutionary concept (sure we all know that we’re not the cure, but so often we lose sight of the fact when we’re in the throes of caregiving) during a staff meeting during an inservice at my school.